It's hard to imagine a world without schools. Elementary, middle, and high schools. Parochial schools. Christian schools. Alternative schools. Home schools. Charter schools. Virtual schools. Boarding schools. Public schools. Private schools, etc. The idea of providing public access to education is thought to have originated with Greek philosophers like Plato and Aristotle. But for centuries, getting a basic education in reading, writing, and arithmetic was a privilege reserved for the wealthy. In some places around the world, particularly for the impoverished, the female, and those living under repressive governmental or religious regimes, going to school is a sought-after dream, not the torture many American kids consider it to be. Plato and Aristotle might have had lovely, altruistic ideas about education, but somewhere between the Greco-Roman era and the Middle Ages, educated folks became a rare breed, leading to all sorts of strange practices and beliefs, superstitions and deceptions both in the Church and in day-to-day life. It might not be as obvious today, but the effect of ignorance and a lack of education still produces the same results. Think about it ... the majority of reasonably well-educated people do not believe the headlines about alien babies and other fluff on those supermarket tabloids. The better educated someone is, the less likely a person is to be tricked. If you can't add, how will you know if you've been overcharged at the market? If you have no idea about the scientific principles at work in the human body, you'll buy a case of "snake oil" to cure what ails you. 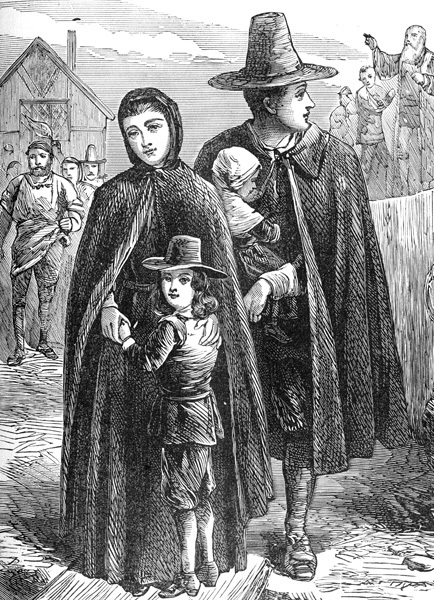 The Puritans were concerned about the lack of education in their growing colony. In 1647, the leaders of the Massachusetts Bay Colony actually condemned ignorance and illiteracy as a Satanic tool. Without a proper education, they stated, men were hindered from reading and studying the Scriptures for themselves, thus setting them up for deception by unscrupulous folks, or worse, keeping them away from the knowledge of eternal salvation. The laws they passed made individual communities responsible for the hiring of teachers and the establishing of grammar schools, and were intended to prepare their young people - children and apprentices - in the knowledge of the Scriptures, civil law, and some form of vocational training. Those young men who went through grammar school were often sent on to Harvard University to be trained for the ministry. My, how things have changed! One principle, however, remains the same: a knowledge of truth is a safeguard against deception (and the deceiver). Truth originates from one place and one place only, our Creator. Many of us now educate our children at home to establish them in the knowledge of the truth before they enter the world on their own. Others take the time and care to instruct their children at home in the knowledge of Scripture even while their children learn basic facts in public or private school settings. No matter how we embrace our educational philosophy, it's crucial that we all continue to educate ourselves, to seek truth in the midst of conflicting facts and ideas, lest we fall prey to that most heinous of Satanic tools: deception bred from ignorance. Nikki, you are so right on! I have been able to glean from some of the super-bright Christian thinkers (inlcuding my husband)who understand the political cllimate, law and public policy. My kids have been steeped in politics from day one. Great post, Niki, and so true. I really like when education takes into consideration the heart and the spirit as well as the mind. So often, even in Christian settings, we only train the logic. When you start involving hands on training, mentoring, and the arts, you train the heart as well. When you involve prayer, and by that I mostly mean listening to God, you involve the spirit. Great post. So often I take some things for granted and I definitely cannot imagine not being able to read or write. Cheryl~ Teaching our kids to "sift" through what they hear is SO valuable. I love when my own children will listen to a news story, or come to me with a politically provocative e-mail and point out the fallacies they see in the presentation. Dina~ Very true. We are spirit, soul, and body. A complete education requires training, instruction, and discipline in all three, in my opinion! adge~ Me too. I learned to read and write early. The idea of living without books, without the ability to communicate with the written word, is unbearable to even consider! Great job Nikki and Dina! And all the moms out there in Inkwell Land! However they get the "learning" into them, it's the LOVE that makes the difference. I'm leaving for a week. Family illness... any prayers appreciated. Bless you all. Grace and peace for you on your trip, Cheryl, and God's healing mercies for your family member. Niki, what an interesting post! And you're right, our education should never stop. God's world is too rich and fascinating to give up learning. Thanks. Cheryl, I'm so sorry to hear of an illness in your family. Praying for your safe trip and healing for your family member. A good reminder that 'religion' was behind the 'new fangled idea' that children should be taught to read and write. happy new school year, USA and Canada! did you notice Niki's new photo? No, that's not some Hollywood movie star, that's our Niki. Amen. This says it all~~> No matter how we embrace our educational philosophy, it's crucial that we all continue to educate ourselves, to seek truth in the midst of conflicting facts and ideas, lest we fall prey to that most heinous of Satanic tools: deception bred from ignorance. Thank you all, for adding your thoughts! I was trapped in a town meeting tonight or I would have replied sooner! Nothing like listening to one's elected reps ramble to remind me of the Desperate need to make sure this next generation knows the truth from the lie! Deb- **blush** Thank you kindly!! !